Dissolving the physical body and relaxing it is not the same thing. Often to explain this, I use the image of going from ice to water. Relaxation in the West is mostly understood as a mental or an emotional mood change. 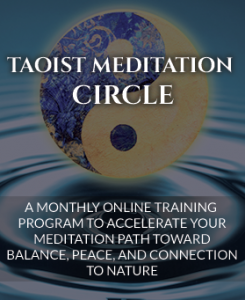 When we’re going from ice to water in Taoist dissolving practices, we’re talking about the body physically softening as well as your mood softening. Of course, there is a general emotional sense of relaxation, but more specifically, the tissues of the body are physically relaxing and becoming softer. The blood in the body begins flowing better, which comes from blood vessels being less constricted. Now, can one dissolve the chi of the physical body through ordinary Western relaxation practices? I don’t believe that you can dissolve the chi of the body through ordinary relaxation practices because the whole focus is to open the chi to your etheric body or in inner dissolving, to take the chi into the inner space. Ordinary relaxation normally does not do that. Yes, it will relax the tissues, but it won’t directly affect your chi like dissolving practices will. Anything is possible but dissolving is not the normal expectation because it happens so rarely with ordinary relaxation. Must one be able to feel chi to practice dissolving? The major point here is that directly feeling chi is a fruit, a final stage, of your practice. Initially however, you could begin sensing your chi through visualization or imagination. I had a teacher named T. T. Liang who wrote a book, Imagination Becomes Reality, in which he states that if you focus your intent (your imagination) eventually your intent (your imagination) will help move your chi. Regarding the ability to practice dissolving, one actually has to be able to feel the chi to some degree because the process of outer dissolving involves releasing energy into the etheric field, which is not physical but energetic. That requires you to feel your etheric field. If you can’t feel your chi and you can’t feel your etheric field, how would you know if you’re dissolving or not? Yes, you could visualize it but would have no concrete, actionable idea of the chi itself. The same goes for inner dissolving. 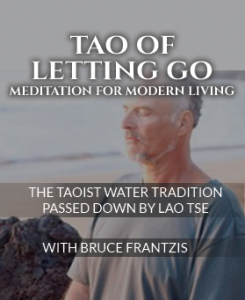 You could visualize it but the process of dissolving in Taoism is not only a visualization practice. You actually do need to feel chi for this practice. Most people usually start only being able to feel two or three of five percent of what’s going on and gradually, that ability to feel and recognize their chi starts to grow until it eventually reaches 100%. That said, it would be a false dichotomy to say that if you can’t feel it you shouldn’t do it at all. Learning to feel your chi is a gradual growth process. 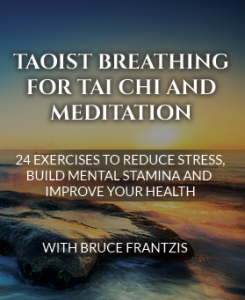 What would I recommend as the fastest way to learn to feel chi? 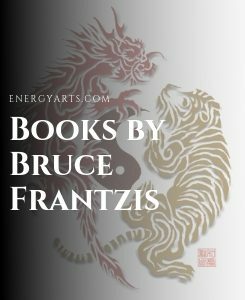 Essentially, all of my books and all of my materials teach the processes for learning how to feel chi. 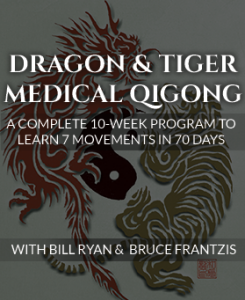 In terms of what I teach, the coherent system of Qigong called Dragon and Tiger Medical Qigong will help you initially feel your chi the fastest. 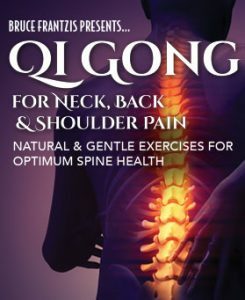 This one coherent system works with the etheric body and gives the overwhelming majority of people the fastest ability to feel chi to some degree. 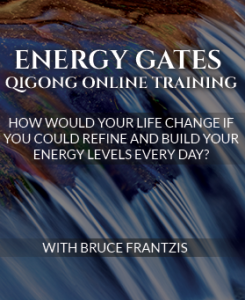 The second practice I recommend is Standing and Dissolving within Energy Gates Qigong because although the process of standing is dramatically harder than Dragon and Tiger, Standing and Dissolving has historically proven to allow the largest number of people to feel their chi deep inside their body in the most concrete way in the shortest period of time. I should note that just standing is often very difficult for most people. The legs and body start to hurt. You start to feel everything inside you and often that means your blocked channels, misalignment and anything that is physically right. Then as you extend your time your mind wants to do a hundred different things. If you can persevere with the standing then you will start to feel chi, your chi will get stronger and it will form a solid baseline for everything you do in the future. But, the standing process is definitely not easy or comfortable. I have been practicing what I learned from you in 1975 when you were teaching out of a loft on Mercer St. in New York for a short time. I can find no one with whom I can share the experience, much less can I find a teacher who might be able to give me any form of feedback about my practice. 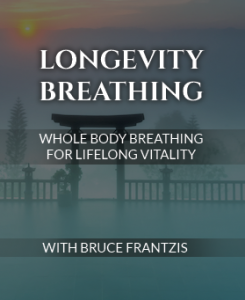 The only thing I rely on for verification of whether I am doing anything of true value is the fact that I am in excellent health and spirits at 57 – I was 21 when I met you. You taught me, among other things, how to project my chi into my wrist after a minor injury and this was my first experience of feeling chi. Truth is, my job entails a great deal of standing, as in 10 hours at a time, and I take advantage of every chance to practice dissolving to relieve the stresses of the day. It has helped my health and martial ability. Even if I never learn anything else, I believe this practice has improved the quality of my life, and helped me positively touch the lives of those I come in contact with, which is a lot of people, since I deal with the public. I thank you for the knowledge you so generously impart and salute you for the time and effort you have spent learning what you know and imparting it to this world that is so in need of such wisdom. Still looking for more, I always check to see when you are in NY. You share more in your lectures than anyone else I have ever met. Chi felt concretely deep inside? Interesting, and believable.